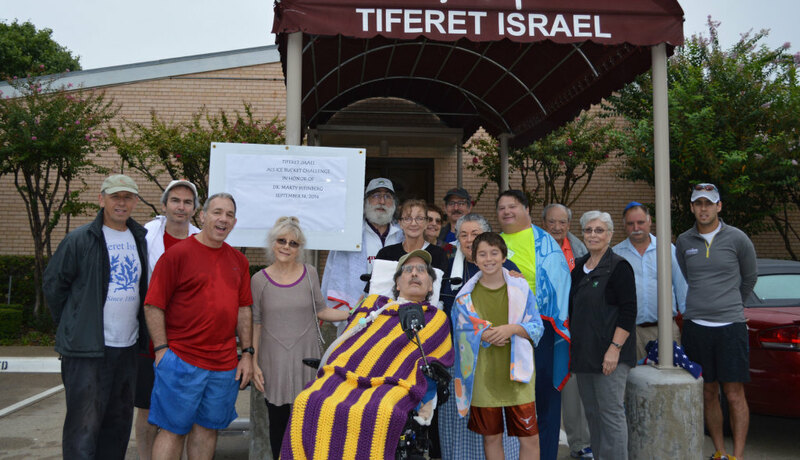 On what can only be called a “brisk for September” morning, members of Tiferet Israel showed up for Marty Weinberg Sunday, Sept. 14, with both towels and checkbooks in hand. 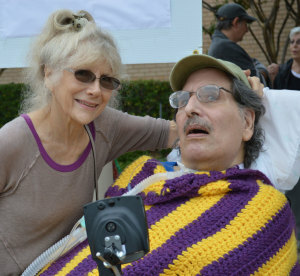 Weinberg, once a dentist, has been battling amyotrophic lateral sclerosis, ALS. 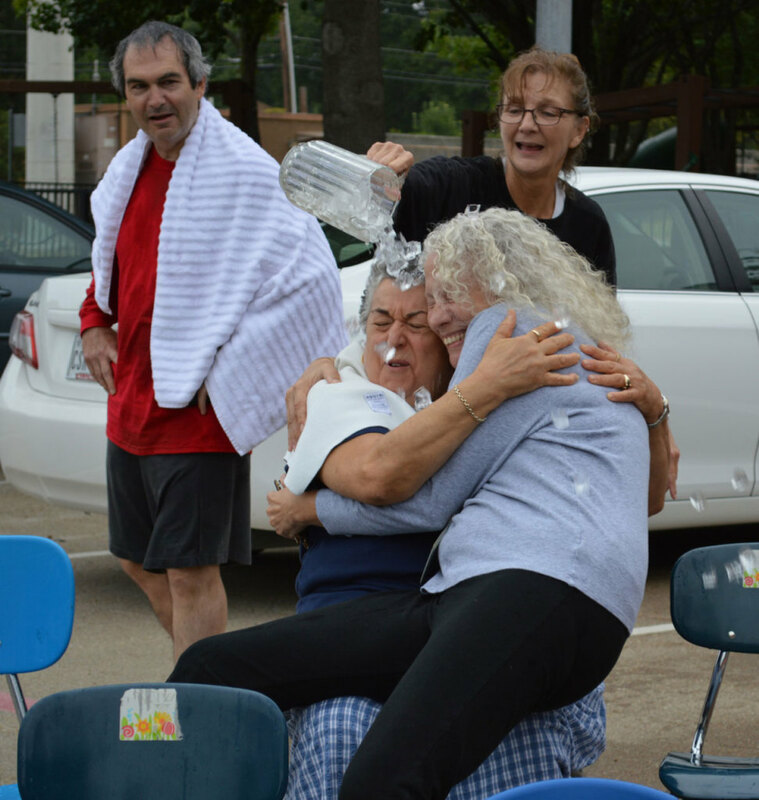 As the ALS ice bucket challenge doused the nation this summer, it seemed only fitting that Tiferet Israel would honor their own longtime member with a challenge of their own. The synagogue has been a tremendous source of strength to the Weinbergs, Elandra, Marty’s wife told the TJP. Although unable to communicate, through speech, Marty watched the proceedings with rapt attention. “He’s very emotional,” said Elandra, overwhelmed by the outpouring of support herself. As of Sept. 16, The Ice Bucket Challenge has raised $113 million in donations. 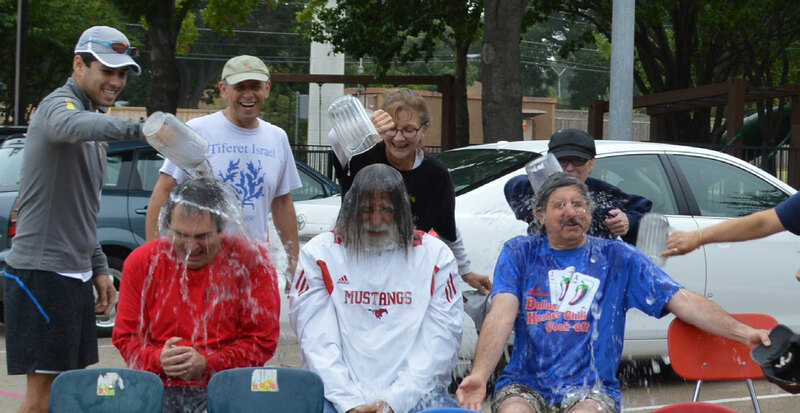 Donations can be made to The ALS Texas Chapter, 2251 Chenault, Carrollton, TX, 75006 or online at http://webtx.alsa.org/. Dr. Zev Shulkin, Ed Jerome Julie Doucet and Nancy Walker give the “Ice bucket” treatment to Rick Cohen, Peter Lesser and Stuart Roosth. Julie Doucet douses Sonia Meltzer and Naomi Sanit as Warren Abrams looks on.